At long last, fans in the United Kingdom will be able to watch Bellator MMA without delay, with Sky acquiring the rights to broadcast US-based events through 2019, as confirmed by Sky Sports. 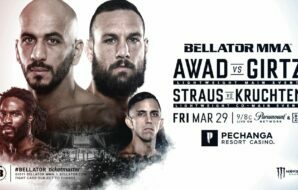 Starting with Bellator 216 on February 16 (early hours of February 17 in the U.K.), viewers will be able to watch mixed martial arts action through Sky’s premium sports service, Sky Sports. Sky Sports will also broadcast Bellator 217 on February 23, which takes place in Dublin, Ireland. 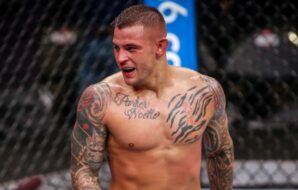 Rumblings first surfaced when Cage Warriors President, Graham Boylan posted a cryptic message on Twitter, followed by Irish journalist Seán Sheehan, who tweeted a photo of Bellator MMA on Sky’s programming guide. 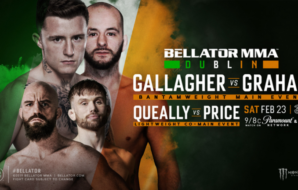 Over the past few years, Bellator MMA has focused a fair amount of their resources on the U.K. and Irish market, in hopes of establishing its second major territory outside of North America. Despite this intent from the Viacom owned brand, the lack of a live television deal served as a serious stumbling block for this ambition. 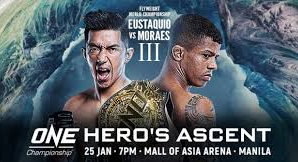 They began addressing this issue with the announcement of a live television six-event European Series commissioned by Channel 5 (also owned by Viacom), which begins on Saturday, February 9 with Bellator Newcastle. 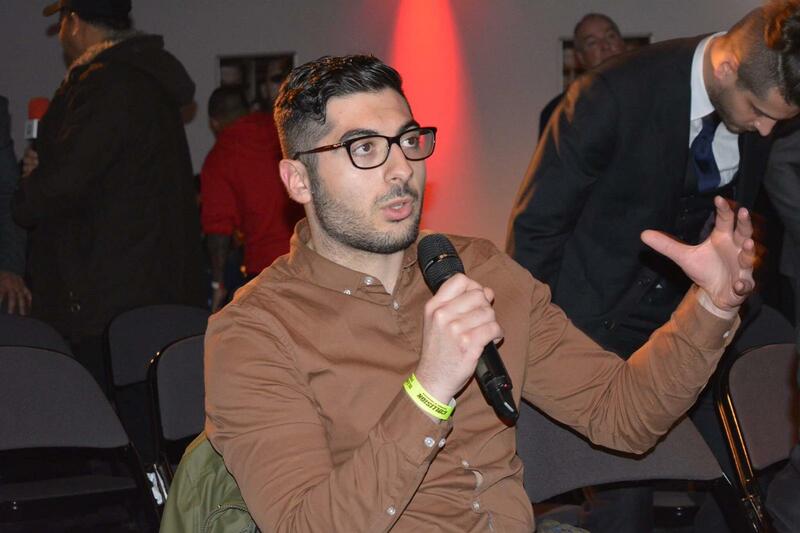 Yet even with the biggest terrestrial TV agreement in UK MMA history signed and announced, the sticking point of having no live deal for their US events remained indispensable. Even Bellator President Scott Coker acknowledged the severity of the matter as one of Bellator’s top priorities. 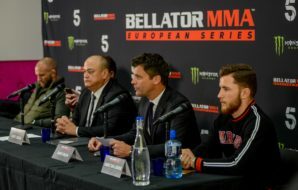 It was not for a lack of trying, though, and Bellator even enlisted the help of production expert, David Green, last year, hiring the former BAMMA CEO as the Head of Bellator Europe to assist their television negotiations, with Green having previously procured TV deals for BAMMA with Bravo, SyFy, Channel 5, Dave and ITV. Equally, they did come close to a deal with BT Sport in late 2018. 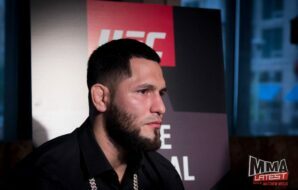 Negotiations, however, fell through when the UFC triggered a release clause in their newly signed contract with Eleven Sports after the streaming service was unable to secure a carriage deal with Sky, BT or Virgin TV. 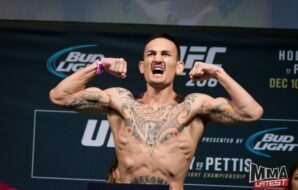 This caused the UFC to re-sign with BT Sport, putting an end to negotiations between the subscription channel and Bellator. 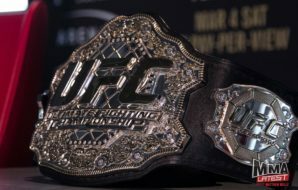 What would follow, though, no one could have expected, with the shocking revelation that starting with Bellator 216 on February 16 — which features the showdown between British rivals Paul Daley and Michael Page — telecommunications juggernaut, Sky, will broadcast live mixed martial arts programming for the first time in over a decade. 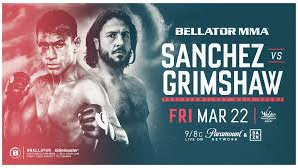 Bellator’s deal with Sky is significant seeing as the satellite service has totally avoided MMA for a number of years following failed junctures. 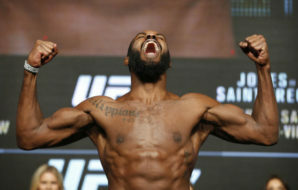 Sky originally attempted to foster a relationship with the Ultimate Fighting Championship during the early noughties with UFC 38: Brawl at the Hall. The event which took place at the Royal Albert Hall London in July 2002, was sold through Sky Box Office, Sky’s pay-per-view service. Subsequently, UFC programming has not been featured on Sky in the U.K. ever since. Sky did, however, take a punt at now defunct, U.K. promotion Cage Rage in 2007, but once again things soured and they prematurely axed Cage Rage from their channels in 2008. Time heals all wounds, apparently, and that seems to be the case here. Sky are willing to take a gamble on Bellator MMA, and I believe that is so they can gain a modern understanding of viewers’ affinity with MMA programming and its market value. 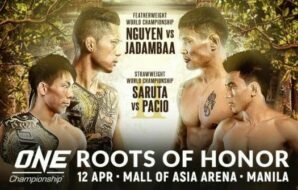 Considering that the majority of Bellator’s events will take place in the early hours of the morning (for the UK), it would be naive to expect substantial viewing figures from Bellator in the short-term, especially with UFC events on BT Sport historically pulling in around 100,000 viewers, or fewer, on average. There still remains the barrier that Sky Sports is a subscription service, meaning UK fans will need to shell out if they want to watch live Bellator events featuring the likes of Fedor Emelianenko, Ryan Bader and other top stars. It’s a sacrifice that must be taken, though, in order to escape the pointlessness of 24-hour tape delays. 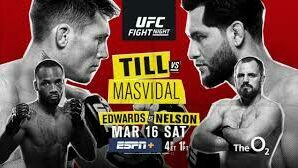 Aside to that, another issue this presents is that viewers will need to purchase subscriptions to Sky, BT Sport (UFC), and UFC Fight Pass (Cage Warriors), to watch the full offering from major promotions. 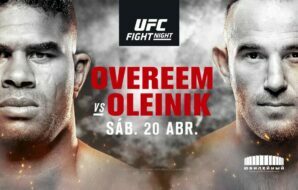 Furthermore, with two of the television industry’s biggest powerhouses now backing Bellator’s 2019 campaign, the promotion must capitalise on their newfound exposure. 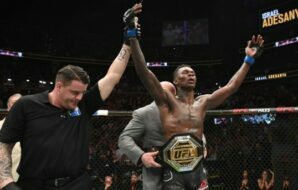 Historically, Sky Sports has always been the home to elite sporting competition, including Premier League, NFL and WWE (to name a few), and now Bellator must use its Sky’s credentials to solidify their stake in the U.K. and Ireland, whilst more importantly, bringing the sport to a susceptible audience and proving MMA deserves the same level of recognition as its programming counterparts.